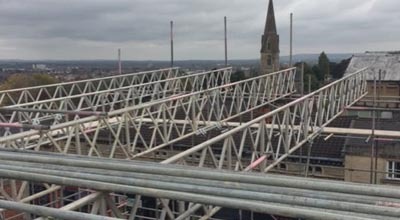 Aspire Scaffolding Services Ltd have over 20 years of experience in the scaffolding trade, providing safe scaffolding solutions to commercial clients as well as residential customers. We aim to provide the very highest standards of service, in a friendly and professional manner. We want your experience of Aspire Scaffolding Services Ltd to be nothing short of first class! Our reputation is of paramount importance to us. As such, you can expect our team to be polite and friendly, efficient and professional, while paying the highest attention to all necessary Health & Safety rules and procedures. If you would like to get in touch, please feel free to send your enquiry using the form below. We will reply to you as quickly as possible.